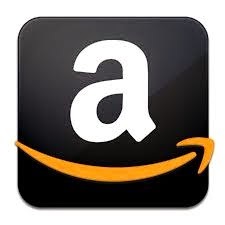 I had a twitter account @amiable2amy and I have been tweeting ads from different sponsors. I also monetize my tweets via sponsoredtweets by IZEA and one of the ads that I tweet was about #tag4cancer, a breast cancer awareness campaign by Bumble Bee. Part of the campaign is a sweepstakes with an iPad 2 as a prize. I was one of the lucky tweeter who won this great and fabulous product from Apple. 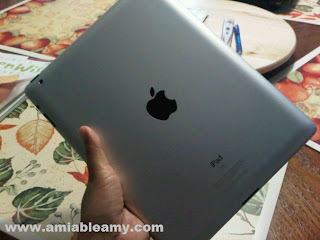 Currently, the lowest price of iPad2 with wifi is $499 and I must admit, I truly enjoyed this gadget. This is my new toy aside from my guitar. 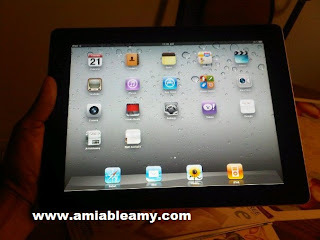 It's an awesome Apple iPad 2 with Wifi which is thinner with lighter design. It's even more powerful with the dual-core A5 chip. I love the 10 hours of battery life, with two cameras that I can make FaceTime video calls and record HD video. The iPad Smart Cover attaches magnetically and wakes up. Here's the Features that comes with it: Apple iPad 2 with Wi-Fi in 16GB, 9.7-inch (diagonal) LED-backlit display with IPS technology, 802.11a/b/g/n Wi-Fi , Bluetooth 2.1 + EDR technology. 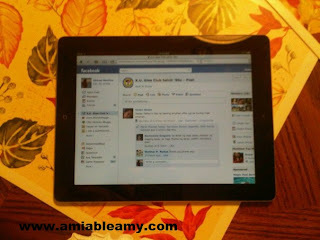 I have an Apple iPod touch but, I did not enjoy it as much as this iPad! This innovation amazed and I am loving my latest toy gadget. I highly recommend this product to anyone! Thank you sponsoredtweets, Jenni from Izea company and BumbleBee! This is a wonderful birthday present!